alaTest has collected and analyzed 128 reviews of Sony DCR-PC330. The average rating for this product is 4.2/5, compared to an average rating of 4.0/5 for other Camcorders for all reviews. People are impressed by the design and reliability. The image quality and price are also appreciated, whereas reviews are divided on the usability. There are some negative comments about the control panel and battery. We analyzed user and expert ratings, product age and more factors. 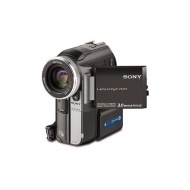 Compared to other Camcorders the Sony DCR-PC330 is awarded an overall alaScore™ of 79/100 = Good quality. alaTest has collected and analyzed 35 user reviews of Sony DCR-PC330 from Amazon.co.uk. The average user rating for this product is 4.4/5, compared to an average user rating of 4.0/5 for other Camcorders on Amazon.co.uk. Reviews about the zoom and design are overall positive. The reliability and image quality also get good reviews, but some have doubts about the battery and portability. alaTest has collected and analyzed 23 user reviews of Sony DCR-PC330 from Amazon.com. The average user rating for this product is 3.8/5, compared to an average user rating of 3.9/5 for other Camcorders on Amazon.com. Reviewers are impressed by the durability and usability. The image quality and price are also mentioned favorably. Some have doubts about the reliability. Extremely small; looks classy and cool enough to take to a Hollywood premiere; easy to learn. Mediocre video quality; awkward to hold; short battery life; DV connector is on charging cradle. Unless portability is your primary consideration, you can find better choices than this petite underachiever. The Sony DCR-PC330 ($1,700 direct) offers a unique blend of compact size with good still- and video-image quality, making it a natural for anybody seeking one camera to take anywhere. This top-of-the-line, full-featured camcorder produces excellent video and takes decent digital stills. This is the camcorder you wish you could afford. EXCELLENT VIDEO, LOTS OF CAPABILTIES, SUPERB LENS, GREAT SOUND. DCR-PC330 MiniDV Handycam camcorder is the industry's first single-CCD (charge coupled device), 3.31-megapixel model, affording customers the highest quality combination of digital video and still camera optics. The new DCR-PC330 MiniDV Handycam model has an Advanced HADTM (hole accumulated diode) CCD imager, a Carl Zeiss Vario-Sonnar T lens and a new advanced primary color filter, which together create outstanding video and digital photographs. Beyond Sony's standard advanced features such as Super NightShot infrared system for shooting video in total darkness and the Super SteadyShot system for image stabilization, this new model also has a new smooth interval record feature, enabling smooth time-lapse recording. Along with a 2.5-inch hybrid touch panel liquid crystal display (LCD) for an easy-access, easy-to-see menu, the new 3-D user menu is customizable into a Personal Menu. Once users assemble their favorite features into their own Personal Menu, it takes just one touch on the LCD to facilitate a personal shooting style. The DCR-PC330 MiniDV Handycam camcorder weighs just over a pound with its battery. It is smaller than a paperback dictionary, but has the versatility and sophistication of camcorders twice its size. The new three-color filter uses proprietary technology that quadruples the area for each primary color, resulting in more true-to-life photographs and video. Like the human eye distinguishes color through red, green and blue photoreceptors, the new primary color filter uses the same colors to deliver vibrant and color-rich video and still images. The manual focus ring together with the 10X optical/120X precision digital zoom gives the user even more options for creativity and composition. The DCR-PC330 MiniDV Handycam camcorder also has specific Sony still camera features for shooting crisp clear pictures in poor lighting conditions.